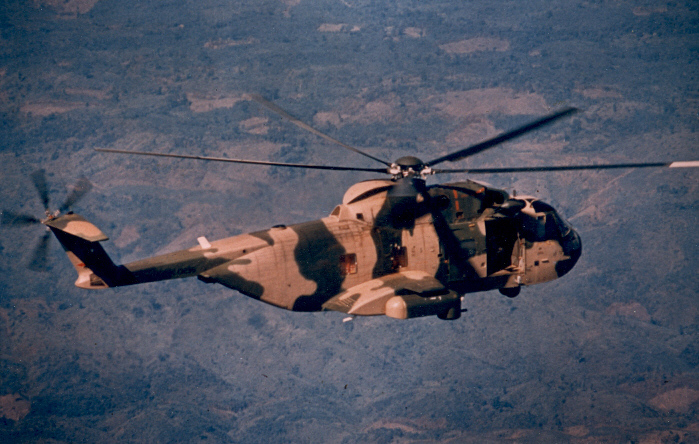 Dedicated to the Men and Women of the Air Commando and Special Operations Units of the United States Air Force -- Past, Present and Future - "Any Time, Any Place"
Welcome to Jim Henthorn's Vietnam Vet Page! A Veteran of the Vietnam War, I served as a Weapons Mechanic and occasional door gunner with the 21st Helicopter Squadron located at Nakhon Phanom Royal Thai Air Force Base, Thailand from November, 1967 through May, 1969. 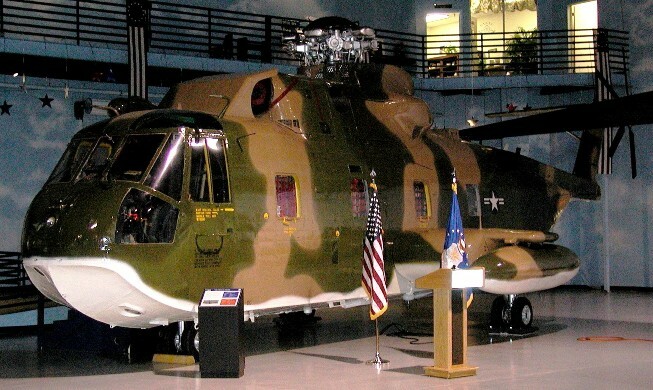 Later renamed the 21st Special Operations Squadron, the 21st flew CH-3E "Jolly Green Giant" helicopters. I earned the Air Medal while participating in various operations and the Sikorsky "Winged S" while participating in a rescue with a Sikorsky helicopter. One of our helicopters (CH-3E 67-14703) survived the War, later the Gulf War and now rests in honored glory at Robins AFB Air Museum. Click HERE to learn more and see a photo!!! 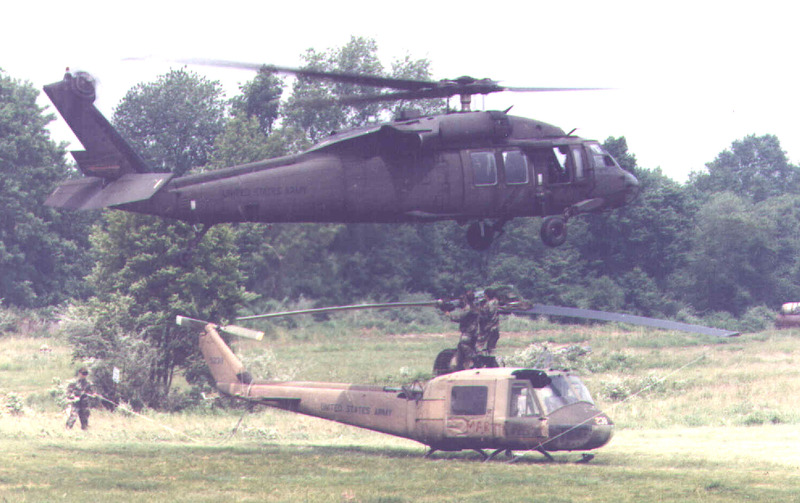 This year (7/11/2000) I completed a project that assembled data about all USAF Helicopter Crewmember losses - not just Special Operations but also the ARRS ("That Others May Live"). That document is 21 pages long and is as complete as I can make it as of this time. It is in Adobe PDF format and will require that you have Adobe Acrobat Reader (a free program from Adobe) installed on your computer. Click HERE to view the file. Last Update: 12/20/2007, now 32 pages. Please e-mail me by clicking here if you have any additions or corrections to make to the file. Click Here to view "In Memoriam"
and the Vietnam Veterans of America. Click on the Image for a high resolution image! Jim was also involved in the restoration of a UH-1M, Tail No. 66-15238, with the Vietnam Veterans of America Chapter 451, Baltimore MD. Click HERE to see what we were able to accomplish in less than one years' time! ACTIVE! But Not complete. Definitely under construction! The 21st Special Operations Squadron was stationed at Nakhon Phanom Royal Thai Air Force Base located in northeast Thailand and almost due west of the DMZ. "21st Special Operations Squadron" is a history, in words and photos, of our involvement in the Vietnam War. Project MapScan was an outgrowth of the fact that, flying out of Thailand, many of the places others mentioned in their stories were places that I did not know. Nor did I have any idea where they took place. NEW - Phase I is complete! The maps cover the entire area of South East Asia including South Vietnam, Cambodia, Laos and North Vietnam and eastern portions of Thailand. Phase II involves identifying all the significant locations on these maps and providing a hot-link to the correct map for each location. Phase II is just getting underway now (15Dec2000) and will not be complete for some time yet. © Jim Henthorn, All Rights Reserved. Contact Jim for links and usage. To e-mail Jim, click here . Want to join the ring? Get info here! Click Here to go to Jim's Home Page.